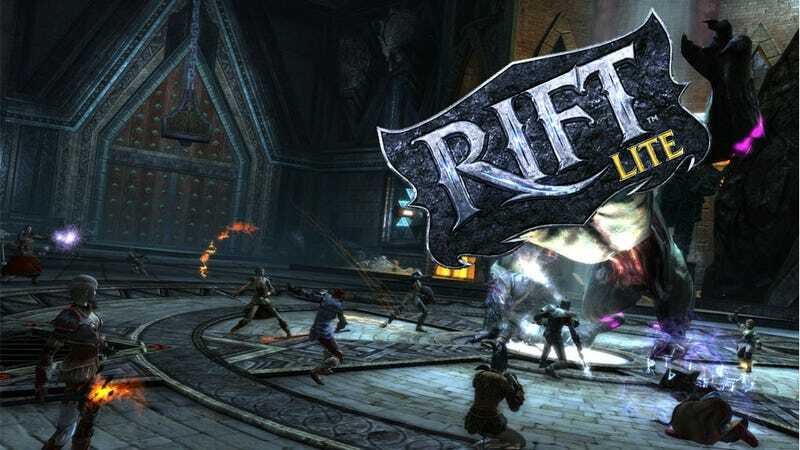 Have you ever wished you could play the first 20 levels of Trion World's massively multiplayer online role-playing game Rift with no time limit at no cost to yourself whatsoever? Damn, that's a very specific wish. Also, you're in luck, as Trion launches Rift Lite, which is exactly what you wanted. Launching today with the first phase of game update 1.7: Carnival of the Ascended (AKA the Wedding Planar), Rift Lite. Any player with a free Trion account can download the client, log on, create a character, and experience all the game has to offer, at least for 20 levels. Why a Lite version?| Why now? Trion CCO and Rift executive producer Scotts Hartsman answers that question in the official announcement. "In the past ten months, Rift has evolved at a breakneck pace, through seven massive updates that set new expectations for live MMOs, in features, in content, and in service. We think a Lite edition with no time limit is the best way for players to see what an amazing experience Rift continues to be." Translation: So more people will play the game. But why Lite though? It's so late 80s diet soda. We've moved on to Zero now. Rift Zero. Got a ring to it, doesn't it?